Congratulations! You are purchasing an amazing piece of content and you want to purchase the exclusive rights and full ownership in that content. This template will transfer all rights related to the copyright and full ownership of the content to the purchaser. The agreement includes terms for, among other things, payment, assignment of all intellectual property rights, and indemnity. You'll be able to rest easy knowing exactly what's expected and how to proceed. A biographical information release allows someone to grant permission to you to post their biographical information on your website or social media channels. Biographical information might be their name, age, location or other information that would identify them. This helps to ensure that you have written permission and won't be requested to remove the content after it is published. If you are an influencer working with brands and you need a solution for your client reporting, this course is perfect for you. 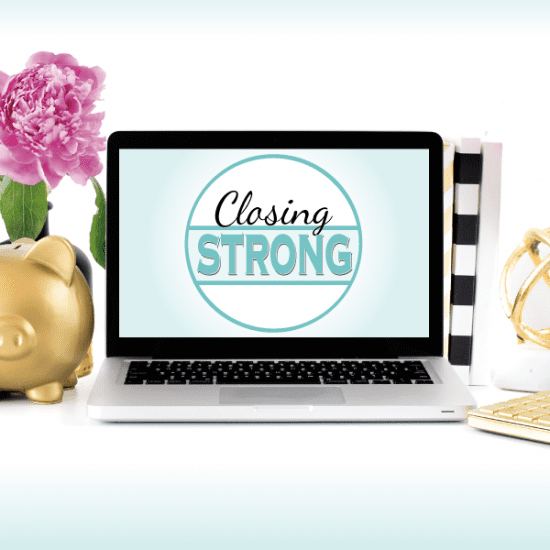 Closing Strong is a mini-course that teaches you how to create social campaign closing reports that will wow your clients. This course consists of a 32-minute video, an excel template, and a slide presentation template for your finalized report. If you offer services as a content contributor (photo, copy, or video) or you are a website owner who is looking to hire a content contributor, you want to ensure that you get it in writing. This template protects the rights of both parties and clearly defines the scope of work including payment terms, intellectual property ownership, and what happens when it's time to end the partnership. Congratulations! You created an amazing piece of content and someone wants to pay you to display that content on their channels. Now it's time to get your contract in place! This template includes terms for, among other things, payment of royalties, licensing of intellectual property rights, and indemnity. You'll be able to rest easy knowing exactly what's expected and how to proceed. This content sponsorship contract clearly and simply outlines deliverables, due dates, payment arrangements, copyright ownership and other legal protections that help you create successful projects and build lasting partnerships with brands. If you are a fitness instructor, either in-person or online, a fitness liability waiver and release helps you protect your rights. It also ensures that your clients are aware of the risk inherent in any fitness program. This form was created for use in an in-person or virtual setting and you can customize it for any type of class that you teach. Get Your PRICE™ is a complete system to help you maximize your sponsored content income by knowing how to set your rates, market your services and negotiate like a pro. If you offer services as an independent contractor, website editor, writer or community manager (or you hire someone to fill that role in your own business! ), this legal contract protects your rights and clearly defines the scope of your work including when you will get paid, who owns the content that you create, and what happens when it's time to end the partnership. A likeness and biographical information release allows someone to grant permission to you to post a photo of them, along with biographical information, on your website or social media channels. Biographical information might be their name, age, location or other information that would identify them. This helps to ensure that you have written permission and won't be requested to remove the content after it is published. A likeness release allows someone to grant permission for you to post a photo of them on your website or social media channels. This helps to ensure that you have written permission and won't be requested to remove the content after it is published. If you are working with a third party and you'd both like to disclose confidential information, a mutual nondisclosure agreement will help protect both of you. A mutual nondisclosure agreement (also commonly referred to as an MNDA) helps both parties protect the confidentiality of the information so you can rest more easily before sharing. Now and then, you'll need to disclose confidential information about your business to a third party. Naturally you want to make sure that the information stays secret. A nondisclosure agreement (also commonly referred to as an NDA) helps you protect the confidentiality of the information and you can rest more easily before sharing. Have something to say? Becoming a speaker at events is a great way to share your message, grow your brand, and make some money. Be sure that your rights are protected by this legal contract, which was created for use by either speakers or event planners. Ready to grow your business? Hiring subcontractors is a great way to grow your team and keep things streamlined for your clients. This contract protects your rights and clearly defines the scope of your subcontractor's work as well as the payment terms, ownership of content, client communication, and what happens when someone wants to end the relationship. 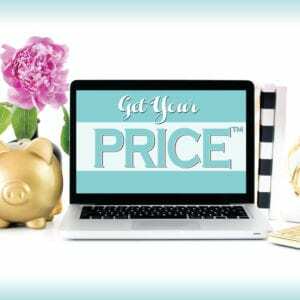 Do you work as a VA (virtual assistant) or want to hire someone to do that job in your own business? This contract helps define what tasks you'll do (and not do) as well as how and when payments are made, who owns the content created, what's covered in terms of confidentiality and also exactly when and how a VA can approach other clients. Your website is one of the most important parts of your business. It’s likely a place that you’ve invested a lot of time and money. So, don't risk it all by forgetting one important legal piece: your disclaimer. As a website owner, it is important to ensure that you have the appropriate policies on your website to protect your business and disclose important information to your audience, like what personal information you collect. This bundle includes our three most popular website policies and gives you a great discount for purchasing them together. You save 33% off of the regular price of the forms by buying this bundle.